Hi everyone! Today I’m back with a card for the My Favorite Things July Ingenious Inking Challenge! This month, the Design Team is playing with the resist technique! To create this background, I used the resist technique. I first stamped the fabulous MFT Abstract Background (OHHHH I LOVE abstract stamps and dies) with Versamark and then I heat embossed it with white embossing powder. Next, I sponged MFT dye inks over the embossed background to show up the white lines. I chose Ripe Raspberry, Grape Jelly and Lavender Fields. This is such a pretty combination and perfect for a gradient look. Finally, I die-cut the word Star from the Stars & Wishes Die-namics set designed by Laina Lamb that I fixed with 3D foam pads to the background. I added Wink of Stella clear pen to it. To bring focus to the word, I also added a white circle frame from the Die-namics Pierced Circle Frames set. 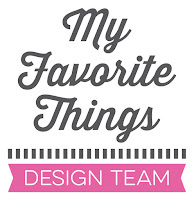 Be sure to check the MFT blog for more inspiration and projects from the design team! This is beautiful, stunning!! The inking is so lovely and so smooth!! Fantastically cool card!!! WOW! Ich liebe deinen tollen Farbverlauf und deine Karte wirkt einfach sensationell schön!